You know those famous duos who work so well together, right? Batman and Robin, Han and Chewie, Lucy and Ethel. Everyone knows them. Well, get ready to add another duo to that list: the Information Desk and Research Consultation Office (RCO) in Eisenhower Library. The graduate students and librarians who staff these desks are available many hours each week to help you efficiently utilize library services and tools. Do you have this particular book or journal? How do I print or scan? Where is call number N6494.A7 C49 2013 QUARTO? 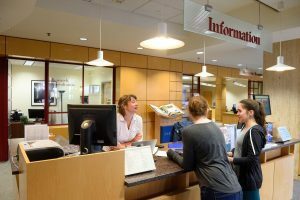 How do I request a book from the Libraries Service Center? I need some economic data to support my argument. How can I publish my conference presentation slides? What policy work has been done in the last 10 years to improve the drinking water quality in the United States? Librarians are available via phone, email, chat, and text if you can’t stop in. 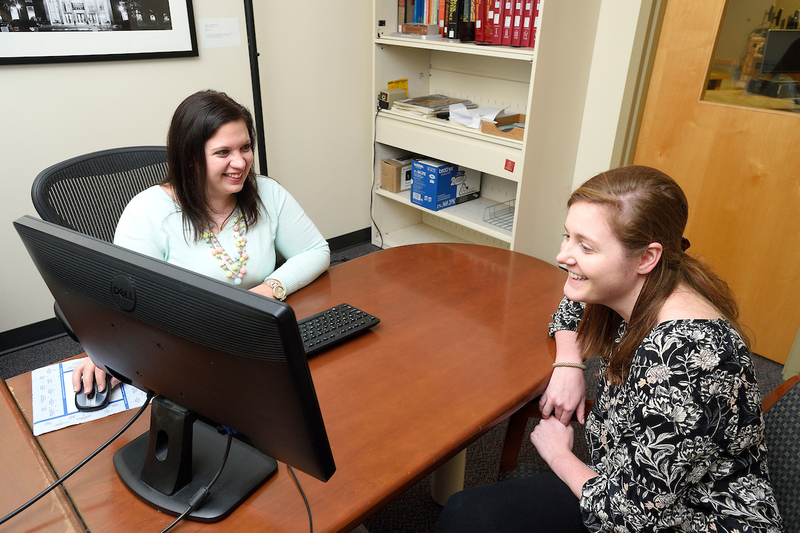 You can also contact the librarian that works with your academic department to set up a meeting. Welcome, Research Experience for Undergraduates Students!